The casino business has always been good to entrepreneurs around the world. If you’re lucky enough to have a stack of cash, investing it in a casino seems a surefire way to boost your profile as well as your bank account. Of course, some wannabe moguls attempt to go Vegas-style and end up flat broke and back on their trust fund. But others turn initial investments into worldwide recognition. The reason for failure is basically the same reason there are successes. 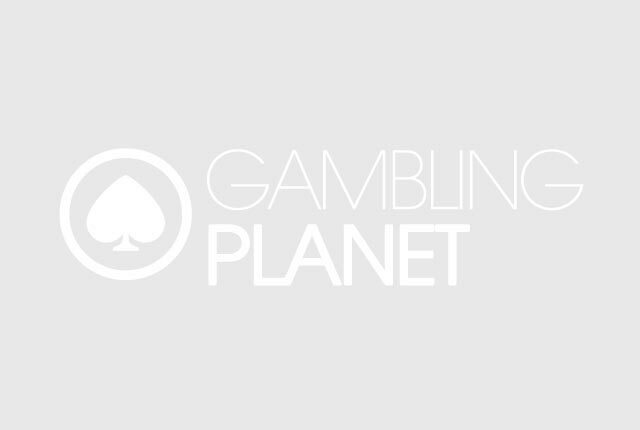 Gambling is restricted in most of the world, and for some reason, that makes people want to gamble even more. It also makes for heated competition in the world of casino ownership. Only a select few have enough holdings to be considered true gambling moguls. 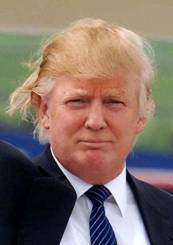 Donald Trump is not only proof positive that the hairstyle doesn’t make the man, but also that there’s no shame in filing bankruptcy. Donald, with an estimated net worth of around $2 billion, is far from the richest casino man out there, but with a keen business sense, Trump was able to take his father’s business to new heights. Trump’s father, Fred Trump, was a wealthy real estate developer. When Donald joined The Trump Organization, he quickly realized that a name was sometimes worth more than materials. Trump doesn’t personally own tons of real estate, per se. He sells his company’s name for recognition. 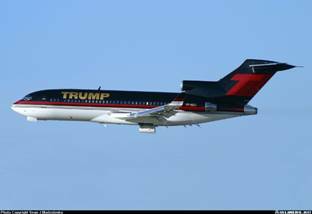 Trump owns many properties, including financial buildings, casinos, hotels, lavish homes, and even a full-sized Boeing 727 to take him around in style. 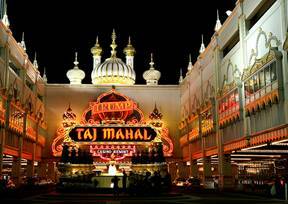 Due to the financial crisis, Donald Trump is busy filing bankruptcy on three of his Atlantic City casinos, but he is still insisting on seizing full control of their operations once bondholders are clear. Needless to say, Trump will be back on top as soon as the smoke settles. 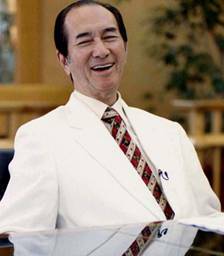 Ho Hung-sun, better known in the elitist world as Stanley Ho, is the richest man in Macau and one of the richest in the world. Ho is an original Asian godfather, proving over the course of his life that he has a fierce competitive streak. His net worth of $7 billion makes him an intimidating force in business. And since Ho dabbles in real estate, banking, air transport, shipping, and the casino industry, he’s a formidable opponent on many levels. Ho started to make his fortune illegally. During World War II, Ho would smuggle luxury goods across the Chinese border from his home of Macau. But don’t think for a second that it was all about white-collar dealings. Ho got down and dirty. When a ship he was on was robbed by armed bandits, Ho laid down 300k on the deck of the ship long enough to distract the crooks and regain control. Bruce Lee wants no parts of that. With the money he earned from smuggling, Ho set up legitimate kerosene and construction businesses. 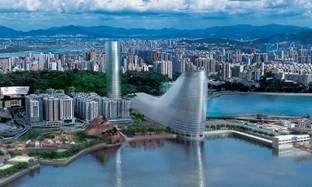 Ho and three other businessmen bid on Macau gaming monopolies with the promise of promoting tourism. He bought the rights and has been expanding Macau ever since. Ho basically controls all of Macau. He owns 8 casinos and has a share in all but 2 of the city’s gaming houses. Ho owns mansions, expensive cars, airplanes, and just for fun, he likes to spend money at auction on ancient artifacts. 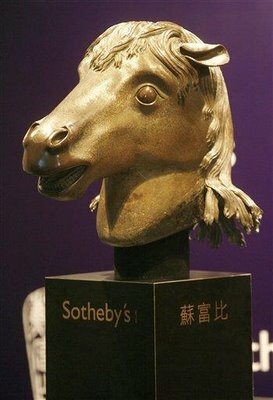 He recently purchased a horse head sculpture from the Qing Dynasty for roughly $8.8 million. Steve Wynn is the undisputed king of Las Vegas. Ever since the 1990s signaled the end of Sinatra-reminiscent Vegas, Wynn began ushering in the future, with brand new and completely refurbished casinos, including the Golden Nugget, Treasure Island, The Mirage, Encore, Bellagio and, of course, the self-named Wynn. Although Wynn’s net worth is only at an estimated $1.3 billion, his company, Wynn Resorts Limited, has the clout of Bill Gates. They’re that revered. Wynn was born into gambling. His father owned a string of bingo halls on the east coast of the US. In 1963, Steve’s father passed away, and instead of leaving a fortune, left over $350k in gambling debts. Undeterred, Steve took over the family business and turned a simple Maryland bingo hall into a powerhouse gambling institution. 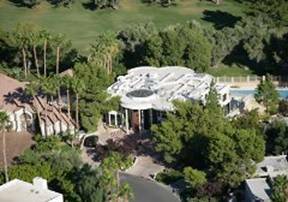 With the money from the bingo parlor, Wynn bought into the Frontier Hotel and Casino in Las Vegas. 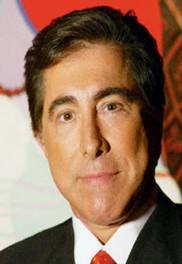 Steve Wynn never looked back. He quickly brokered deals and bought controlling interests in the Golden Nugget. He renovated and flipped the property. That would become Wynn’s trademark move. 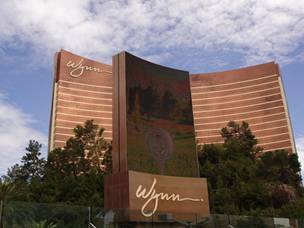 Today, Wynn’s renovated and newly-built casinos have been sold to some of the biggest names in the industry, including MGM Grand Inc. Wynn also owns his own casinos in Vegas and Macau. With his fortune, Wynn has purchased some premium luxury items. He owns homes all over the world, some of the rarest cars and jewels, and recently, he purchased one of world’s largest yachts: the 187-foot Allegro. That’s just one of the perks of being Steve Wynn. 92-year-old Kirk Kerkorian is considered one of the most influential people in the history of Las Vegas. Born in 1917, Kerkorian was an established businessman long before Vegas ever hit the mainstream. 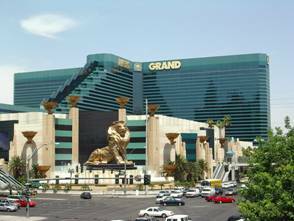 His estimated net worth today is around $11 billion, and although he’s repeatedly sold his MGM stake to the highest bidder, he still retains a 39% ownership in the casino conglomerate to date. Kirk delivered planes in World War II, and after leaving the service, he traveled to Vegas and would spend $60,000 on a small airline that chartered gamblers back and forth. In 1968, he would sell this airline to the Transamerica Corporation for $104 million. With the money, Kerkorian purchased an 80-acre plot of land on The Strip in Vegas, where Caesars Palace would eventually be built. 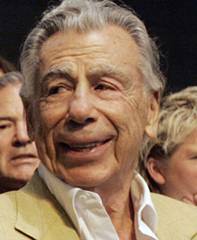 Kerkorian continued to buy land and flip it, until 1969 when he purchased the MGM movie studio. This led to the opening of the MGM Grand Hotel and Casino. At the time, it was the largest hotel in the world. Kirk has continued to add to his fortune by selling various plots of land, stakes in companies, and casino resorts. The reclusive billionaire has also owned stake in multiple other industries, including car companies and movie studios, and he is currently the CEO of Tracinda Corporation, an investment group. Kirk makes sure to live large. He doesn’t own a simple house; he owns a neighborhood. Sheldon Adelson is the last billionaire casino mogul on the list, and for very good reason. 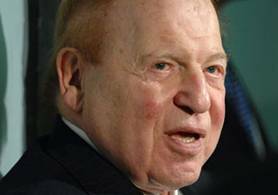 After Adelson, the list of casino billionaires significantly thins out. Currently, Sheldon has a net worth of $15 billion, and is the CEO of the Las Vegas Sands Corp., which operates The Venetian and the Sands Expo. Many might retire with that much money; even more would retire at age 76. But Adelson is still going strong and still brokering deals. Sheldon was born and raised in the Dorchester neighborhood of Boston, Mass. The neighborhood was poor, full of tough kids, primarily Irish, and with his Jewish ancestry, Adelson was at odds with the other residents often enough. He sold papers at a young age and eventually ended up working as a mortgage broker and financial consultant. His first business was selling toiletry kits in the 1960s. Adelson, along with partners, developed the COMDEX trade show for the computer industry. This would initially start his fortune. In 1988, he and his partners purchased the Sands hotel and Casino in Vegas, and constructed the Sands Expo and Convention Center a year later. In 1991, Adelson built one of Vegas’ most famous resorts, The Venetian. This casino is the crown jewel of Adelson’s professional life. 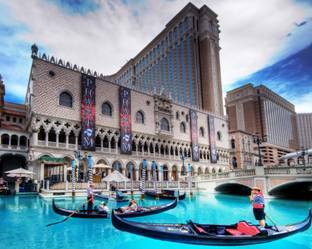 Adelson’s casinos have become a favorite all around the world, with versions popping up in Macau, Singapore, and other locations. Sheldon is another who isn’t shy about flaunting his wealth. Although he donates millions of dollars annually, he still manages to spend enough on himself, purchasing fine art, automobiles, yachts, and the mega-mansion he currently resides in. Discuss this article below or on our Facebook Fan page.